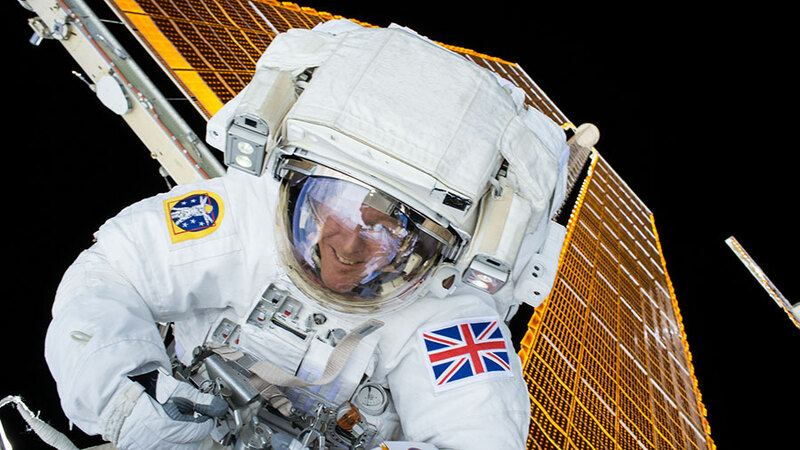 ESA (European Space Agency) astronaut Tim Peake seen during his first spacewalk. The crew checked a spacesuit for leaks over the weekend after a successful spacewalk that was terminated early on Friday. The International Space Station residents also got back to work today on advanced space research, spacewalk gear cleanup activities and preparations for another spacewalk next month. Astronaut Tim Kopra reported a small water bubble in his spacesuit Friday during a short spacewalk. Shortly afterward, he and fellow spacewalker Tim Peake were ordered back inside the station. Once inside, the water was collected and stored for analysis on the ground. The suit was later pressurized and tested though no further leaks were detected. Kopra also worked on the Fine Motor Skills experiment, cleaned up the Quest airlock and checked a spacesuit battery. Peake set up the Electrostatic Levitation Furnace in Japan’s laboratory module to begin research on the thermophysical properties of various materials. The next spacewalk is scheduled for Feb. 3. Cosmonauts Yuri Malenchenko and Sergey Volkov will exit the Pirs docking compartment in their Orlan spacesuits for several hours of Russian tasks. I have been following all the activity of the latest crew space expedition with my young grandson Zachsry who is 8. Part of his daily homework is to read and when we collect him from school we follow your NASA blogs and updated. Intrigued is an understatement he is totally fascinated by the research and the activities of the the space station. He celebrates his birthday on the 29/1/16 and I would love him to have a reply from Tim Peake . This would make his day. This is proving a fabulous way of encouraging reading for children who are interested in the science of life and he certainly is. Hopefully this request can be fulfilled. Good luck to u all on this expedition. The International Space Station orbits about 250 miles/402 kilometers above Earth. The key to the success is safety first. Great Job! Dear Members of ISS, the flower on the picture is very good looking !!! Is blooming! I like flowers and did try to keep them , when I was in my Bolkan country, but those flower is more than at home in the Space!!!! I am concerned that the spacesuit leak checks don’t fulfil a complete root cause analysis. Shouldn’t we be wary of the NASA IRIS findings from EVA23. Hi, there appears to be six crew members on board at the moment. How many can the station hold.? Does the stay time vary. Do the same crew go home together.Is the station fully built or can it be constantly be extended. The most people to visit the International Space Station was 13 crew members. The length of stay varies according to mission from less than two weeks to nearly a year. Crews overlap and they currently launch and return three crew members at a time. The space station construction is complete though future additions such as international docking adapters are planned.